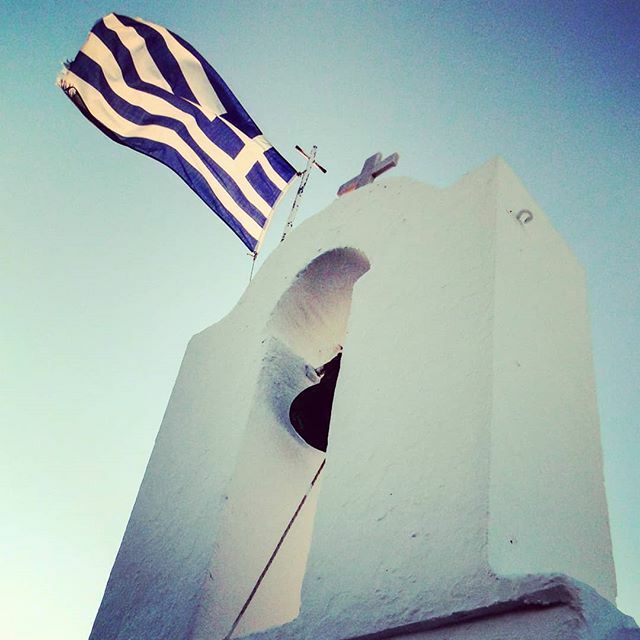 Antiparos (ancient name: Oliaros) is a small inhabited island in the southern Aegean, at the heart of the Cyclades, which is less than one nautical mile (1.9 km) from Paros, the port to which it is connected with a local ferry. It occupies an area of 34.8 square kilometers, including the island of Antiparos and Despotiko. It has, according to census 2001, 1.037 permanent residents and a density of 29 inhabitants per km². The island’s economy is based on tourism, fishing, farming and less on agriculture in the plains. It is known for its distinctive Cycladic beauty with white houses, cobbled streets and beautiful flowers that thrive in the yards of the houses. It is a popular tourist resort in the summer for Greeks and European visitors, as well as land investors from the U.S.A. The main settlement lies at the northeastern tip of the island with Pounda on the other side of the channel on Paros, where a ferry sails for Antiparos harbour. The historical center is located in the Venetian castle of Antiparos, which is connected through the shopping streets in the picturesque coastal street. Other settlements are the famous resort of St. George in the southwest edge, Soros and Kampos and popular beaches in the wider area of the center are Psaralyki, the Sifneiko, Ag Spiridon and the camping beach.The most popular beaches are: Soros, Glyfa, Apantima, Monastiria. The Community of Antiparos was founded in 1914 and was promoted to a municipality in 2010 with the implementation of the Law “Kallikrates“, under the principle of “each island a municipality”. It occupies an area of 34.8 square kilometers, including the island of Antiparos and Despotiko. It has, according to census 2001, 1.037 permanent residents and a density of 29 inhabitants per km². The island’s economy is based on tourism, fishing, farming and less on agriculture in the plains. It is known for its distinctive Cycladic beauty with white houses, cobbled streets and beautiful flowers that thrive in the yards of the houses. It is a popular tourist resort in the summer for Greeks and European visitors, as well as land investors from the U.S.A.